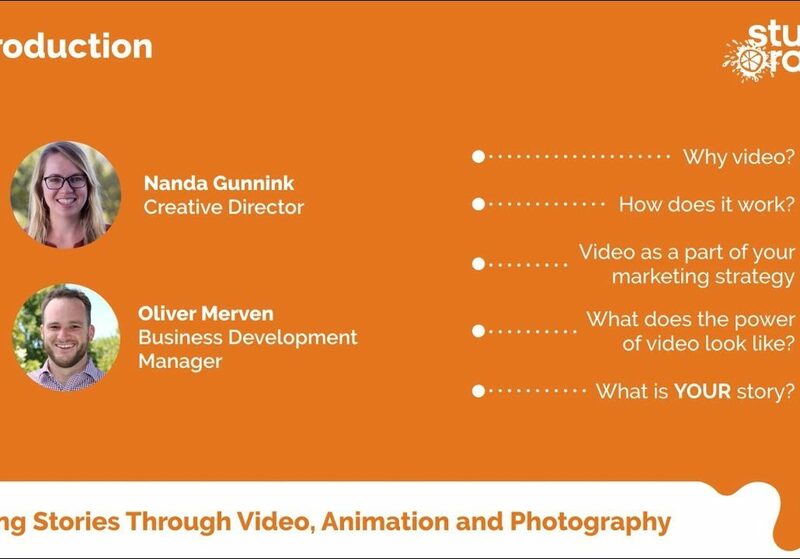 On Friday, May 25, Studio Orange presented to a full room about the power of video and utility of incorporating video as a key part of any business’s sales and marketing strategy. We covered the big question – why video? – as well as discussing different methods in which a video can be created and presented. At the end of the presentation, we encouraged and helped the audience in taking the first few steps in finding their story, using what we had shown them. Here is an approximate transcript of what we talked about. These days, video is not quite omnipresent, but it certainly is everywhere, and it has never been as accessible as it is now. It’s on Youtube. It’s on news websites. It’s on websites you didn’t even go to to watch videos. It’s on social media platforms – Facebook, Instagram, Twitter, LinkedIn – more than ever. Which are on your computer, your phone, your tablet, and not to mention the other places videos show up, such as billboards and the giant circular tower in Yagan Square. And it’s only becoming more and more popular. Once upon a time, getting video content produced was an expensive and time-consuming exercise, and the only place people would be able to watch it was on TV, or at the movies. Technology has evolved to the point where getting a high quality video made is a cost-effective method of telling your story to the world at a price that is efficient to your business. The benefits of communicating through video over other mediums can be far reaching, both measurable and immeasurable. Videos can reveal a personality of a business, people can put a face and a voice to those they are dealing with, rather than a company image. This helps helps to humanise a business, and builds rapport with a potential customer or client straight away. Videos engage with multiple senses (both sight and hearing), facilitating multiple points of engagement with a customer. The moving visual side of things allows body language to be expressed and communicated, while both the audio and visual side can evoke emotions so much better working in concert, rather than independently. Video can help communicate to visual thinkers. We’ve all heard the phrase “a picture speaks 1000 words”. A video can show 1000 pictures, and can help trigger the imagination for harder to visualise concepts. From a simple maths perspective, video is a very time efficient method of being able to communicate a message. Being able to engage both moving visuals and sound concurrently allows the human brain to process information far quicker than text or pictures. 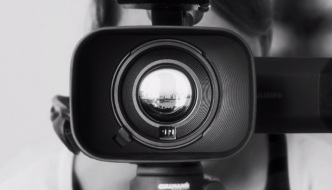 We go through a few distinct steps when it comes to producing video. We start with the very initial brainstorming and concept development stage which involves initial brainstorming. We then work through a storyboarding session. In this session we focus on how the visuals, so what we see supports the narrative and its content. We usually start with a voice over and then work on what type of visual can help represent this. Visuals can either be film or animated scenes. This is followed by production planning and organisation of the production. 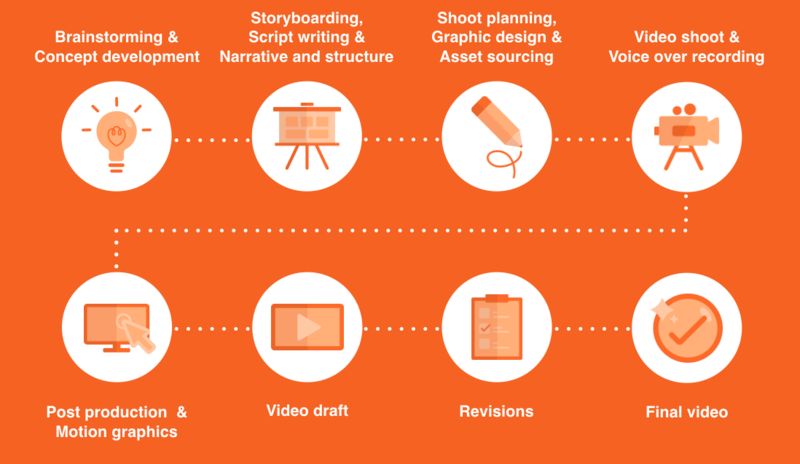 Some video shoots require actors or locations to be organised where some animations need more time spend on designing the graphics and sourcing assets. and important part of any video project. In any marketing strategy, the ultimate goal is to promote and grow your brand – you want people to know who you are and what you do. n any marketing campaign, you’re looking to communicate a specific message, which is backed up and supported by your brand’s strength, identity and credibility. Establishing your target audience and market is critical. Who you’re talking to will frame the message behind any campaign you’re creating, and by extension, how a video is created. How are you broadcasting your message – are you using video, audio, or text and image? What channels are you using for distribution? The channels you choose will define how each those is used. Finally, and this is the most important part, how are you measuring the impact of a marketing campaign? What Does “The Power of Video” Look Like? 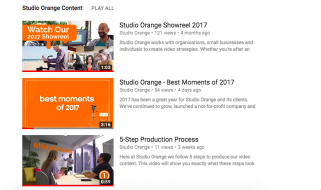 We’ve picked out a few examples of some clever ways in which different people or companies have used video, to tell different kinds of stories. Xero is an accounting and bookkeeping software platform, that has used videos to show human experience and stories, making it far more engaging as a company than otherwise. Looking at their Youtube page, your don’t see corporate branding, you see faces. The video on their landing page tells a story without even talking about Xero for the first minute. When Mel first came to us as a client she was a little unsure what sort of impact a video could have on her ability to generate traffic to her website. So here we have a quick testimonial video of the impact having a video had on Brand Dominance’s ability to be found on the internet. In this video, HIF don’t even talk about themselves – they are able to offer general, helpful information about their field and let the audience fill in the blanks. In what’s probably the most traditional of the videos, this one is a very loud, exuberant, look at us and how awesome we are. This fits Scitech’s brand and how they want to be recognised. Stories are an important part of our daily lives and we connect with them on a person level. As human beings, we connect to emotions and feelings, not specs and features. A Story Arc is a storyline and an episodic way of storytelling which you can find in different types of media. 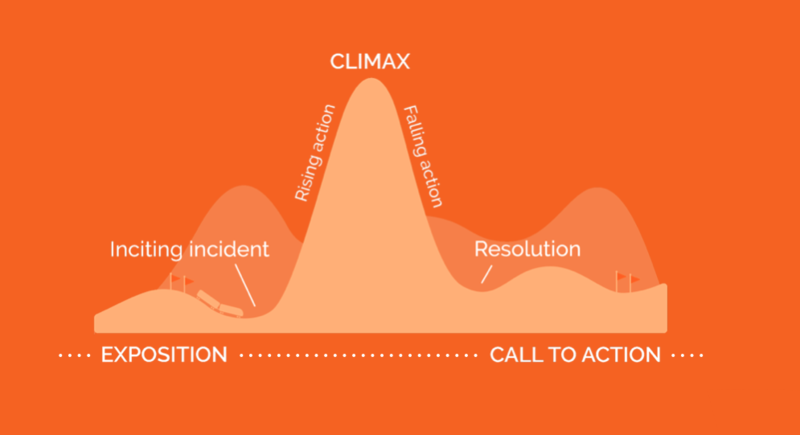 The Climax / The Solution – The climax is where the plot of the story changes. So we’ve just set the scene for a problem and we can now solve this problem with introducing the product or service as a part of the story. Falling Action / Benefits and Features – This is where you justify your solution and you get to explain what features come along with what benefits. Resolution / Conclusion – This is where the conflict or the problem gets resolved once and for all. This is where you reiterate everything you’ve set up and conclude with what to do next. Call to Action – You always want to point your audience to a place to find out more information or to do something to receive something.